Stores reference 22c/80. Size 7. 1937 dated. The leather is in very good overall condition bar normal 'wear & tear'. The original soles and heels have been replaced with rubber types - this clearly done many years ago. The linings are a bit grubby and do have some moulting. This is largely out of sight but there is some fur loss closer to the top of the right boot (see photographs). The original insoles are still in place. Both puller tags have clear Air Ministry King's crown markings, 1937 date code and are also marked with the owner's name. 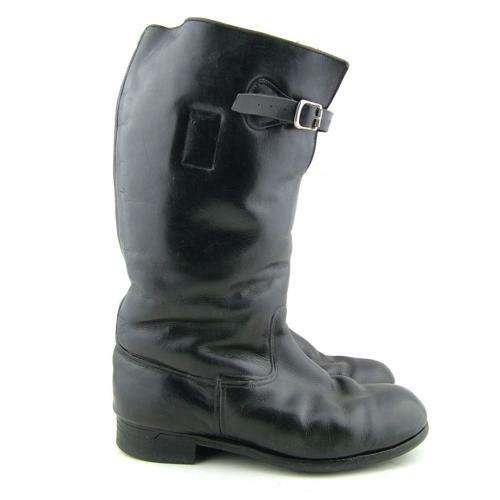 Good/good '+' used pair of these rare early boots. Stock code B17849.